Propriety during the Victorian age demanded women were never to be seen in anything other than dresses which were long enough to cover the ankle. Both unconventional and enterprising, the cowgirls of the Old West came up with a transitional skirt/pants outfit which was safer and more practical than skirts. Because sitting astride a saddle was considered by some to be unladylike and unhealthy, this ingenious skirt was made with a removable front panel for a skirt effect when not riding. 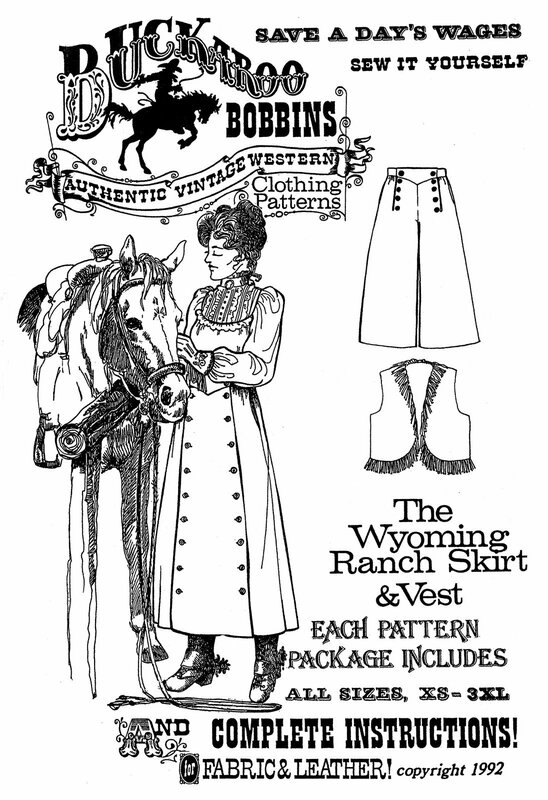 The Wyoming Ranch Skirt is designed to be sewn in either of two lengths and each pattern package contains complete instructions for the skirt and vest, and all sizes from a 22" to a 38" waist. 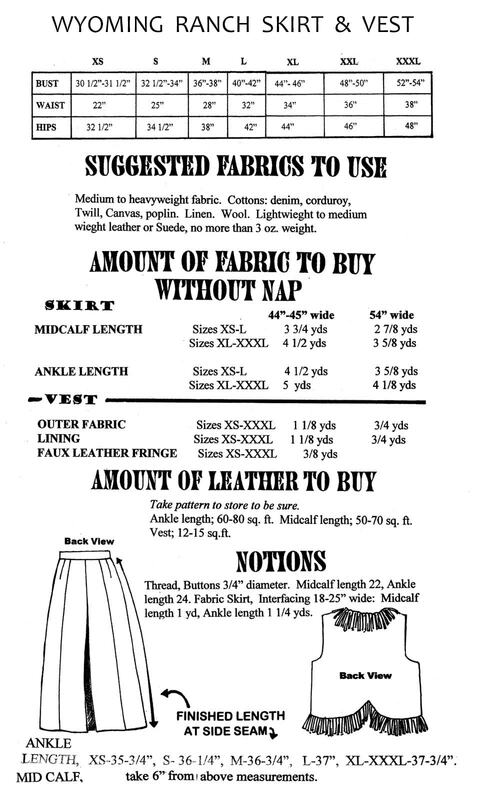 It also includes instructions for sewing with leather.